The ESCO - Accreditation scheme is an initiative of the Regulatory and Supervisory Bureau (RSB) for Electricity and Water intended to encourage the development. Imdaad is ESCO partner since 2018. 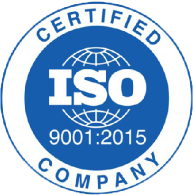 ISO 9001:2015 - is an international standard that specifies the requirements for an effective Quality Management System, version revised in 2015. Having this logo means Imdaad’s quality management system was audited by a third-party certification agency (DNV-GL) and was found compliant with the requirements of the said international standard hence, is authorised to use this logo. Imdaad got this certification initially on 22-Aug-2006. 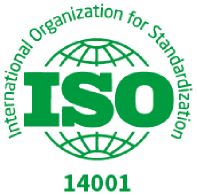 ISO 14001:2015 - is an international standard that specifies the requirements for an effective Environmental Management System, version revised in 2015. Having this logo means Imdaad’s Environmental management system was audited by a third-party certification agency (DNV-GL) and was found compliant with the requirements of the said international standard hence, is authorised to use this logo. Imdaad got this certification initially on 22-Aug-2006. 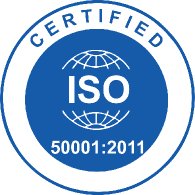 ISO 50001:2011 - is an international standard that specifies the requirements for an effective Energy Management System, version revised in 2011. Having this logo means Imdaad’s Energy management system was audited by a third-party certification agency (DNV-GL) and was found compliant with the requirements of the said international standard hence, is authorised to use this logo. Imdaad got this certification initially on 06-Jan-2016. 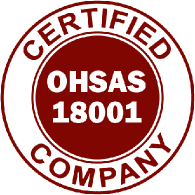 OHSAS 18001:2007 - is an international standard that specifies the requirements for an effective Occupational Health and Safety Management System, version revised in 2007 (this standard is now superseded by ISO 45001:2018). Having this logo means Imdaad’s Occupational health and safety management system was audited by a third-party certification agency (DNV-GL) and was found compliant with the requirements of the said international standard hence, is authorised to use this logo. Imdaad got this certification initially on 22-Aug-2006. BICSc -The British Institute of Cleaning Science is the largest professional and educational accreditation body within the cleaning industry. Since 2015 Isnaad is a Member of BICSc and has BICSc accredited training center.